The road from Hanoi to Ho Chi Minh City of Vietnam is recently listed as one of the best cycle routes in the world by the National Geographic. The prestigious National Geographic travel guide, Journeys of a Lifetime: 500 of the World’s Greatest Trips, cataloguing the most famous and lesser known trips of a lifetime picked the World’s Top 10 bike trails on the planet, chosen for their beauty, length and excitement. According to this list, Vietnam ranked fifth in the list, follow by Canada, Chile and Australia. It is described as suitable for who want to mix the bikes and beaches. Traveler will be passing through the 746 mile- (1,200 kilometer) route, between the country’s two biggest cities, taking along vast stretches of sandy coastline; it’s no picnic, as road surfaces vary considerably and there are many natural obstacles like the Hai Van Pass, the historical division point between North and South Vietnam. deserved reputation for innovation, for quality of service and for providing once-in-a-lifetime active holidays including hiking and trekking, biking, motorcycling, kayaking, overland tours and family travel packages in Indochina. ATA's accumulated expertise allows travelers to maximize traveler’s precious holiday time and to experience the very best of traveler’s chosen destination. The tour packages and custom itineraries will take travelers through exotic destinations to really experience the culture, history and nature of Asia. ATA would like to suggest the most impressive cycling tour for travelers who want to explore Vietnam by bicycle. 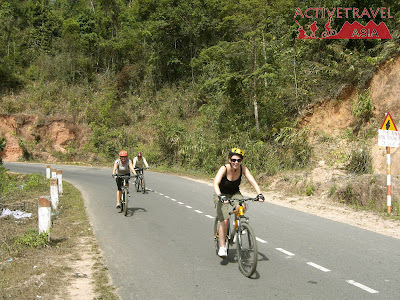 The Biking Ho Chi Minh trail tour brings travelers a great chance to learn about the Vietnamese modern history and see it beautiful nature. The so-called Ho Chi Minh Trail is one of the most renowned legends of the American War. The complicated road system winds along the Truong Son Range, which that facilitated movement of soldiers and war supplies from North Vietnam to battlefields in South Vietnam. Now the historic trail is being turned into a highway and hotels and towns are springing up speedily beside it. The route is incredibly beautiful with new mountain views around every corner, very little traffic, and virtually no tourists. On the way, traveler will have chance to explore Pu Luong nature reserve, or amazing caves atPhong Nha Nation Park. The trip concludes in Hoian, a charming ancient town in centre Vietnam. When to travel: The custom trip is offered weekly year-round. But the best time to travel is from Sep to May. This trip is private and travelers can start any time they want. Price: Starting at $1,425 per person for the group of seven. It includes AC bus for the whole trip, bike truck for the biking section, mountain bikes with helmet and biking gloved, boats in Phong Nha & Hue, hotels based on twin shared, mechanic for the biking section, English speaking guide for the whole trip, meals as indicated in the itinerary, water and snacks every day, sightseeing fees and entrance fees. 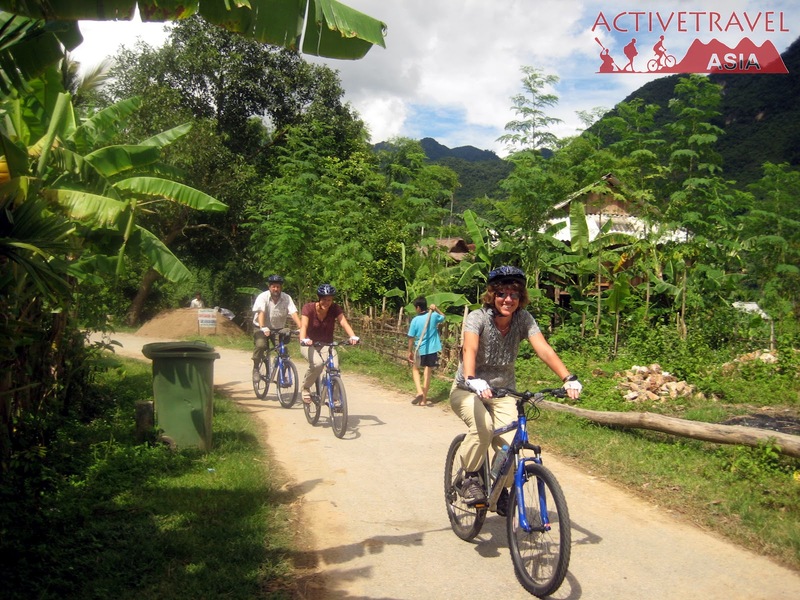 Supported by Active Travel Asia – Explore the hidden land!